Paratus Familia Blog: The realities of "One Second After"
I just finished reading the book "One Second After" by William Forstchen. Avalanche Lily, over at Survival Blog had recommended it as a riveting read, so I thought I had better check it out. The basic premiss of the book is the realities of life after an EMP (electro-magnetic pulse) attack over the continental United States. Being sufficiently paranoid already, I found this book perfect fodder for my already overactive sense of preparedness. One of the main themes of the book that haunted me was that of sickness and death. Throughout history, it has been within the realm of women to care for laboring women, babies, the elderly, the sick and the dying. Women, by our very nature, care for others. Men were created to protect and provide for their families. Women were created to nurture and minister to their families. As I read "One Second After", I realized that in a grid down situation the care for the sick would once again become the realm of women. When there are no doctors, hospitals or health officials to "save" us from sickness, it will be the mothers, daughters, grandmothers and aunts that take up the mantle laid down by their ancestors and reclaim their place among the legions of women who lived lives of service caring for the sick and dying. As a wife, a mother, a daughter and an aunt, I want to arm myself with information and the necessary equipment and skills to make me a formidable enemy to sickness and death. I want to know the potential health dangers of a world without grid-power and readily available bathroom facilities. I want to re-aquire the medical knowledge required to deal with diseases that have been vanquished by modern medical practices and clean food and water sources. In that vein, I have been researching (with much help from Maid Elizabeth) ancient diseases like Cholera, Typhoid, and Typhus, along with once common childhood diseases like Mumps and Measles. My plan is to put together a booklet with vital information - information like signs, symptoms, preventative measures, causes, methods of transmission, proper methods of contamination containment, indicated antibiotics (if any) etc. I plan to include simple recipes for ORH (oral rehydration therapy) solutions, electrolyte replacement fluids, emergency baby formula recipes and even methods for dealing with such things as lice, without the help of modern medical interventions. If nothing else, "One Second After" reminded me of the important role of women in a TEOTWAWKI situation. I plan to go into battle armed with knowledge, skills and the resources I need to see my family through whatever comes our way. "One Second After" was one of the first books of its type I read. I loaned my copy out to a few people I trust and of course they thought the EMP scenario was crazy. Never the less, I am still prepping for a possible 19th century existence. The care of the sick and elderly parts of the story I thought were its strongest suit. I have yet to hear of a viable scenerio occurs outside of a major nuclear war. Since major nuclear wars generally mean the electric grid is going out anyway, the EMP part of the scenerio looses some of its impact. If you go to the books website. It links to a govenerment study. The annex of the study gives specific test results on vehicles, etc. The net result is that the book exagerates the effects on electronics and vehicles. Vehicles stall, but can be turned back on. The effect on their electronics does not appear to be permenantly damaging in all casess. It's much-needed and anxiously awaited information for those of us serious about preparedness. Though there are more self-help books available now than a few years ago, it has been difficult to impossible to find what may someday be lifesaving. Would this be shared through your blog or available in book form? 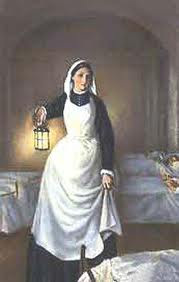 Blessings to you and Maid Elizabeth. My imagination is overactive or hyperactive also. After you put together your information, will it be available to purchase or share or whatever? Sounds like something everyone would need. Is this booklet something you would do just for yourself? Because I would definitely purchase something like that! I read that book and that has been something that's stayed on my mind as well- trying to research natural cures, etc. I think it's a great idea. I'm researching herbal medicine now, just in case. Modern medicine is great, but I better have something if it's not available - especially antibiotics. It's amazing how much we take for granted without thinking about where it comes from. Also, I have mild asthma (as does my son) and I don't really like the inhaled steroids, but they work! And I'd rather live to research another day. So I don't mind doing a little - safe - experimenting on myself. I'm hoping to find something. I'm a long time reader, but first time poster...I truly enjoy every last bit of your blog. I spent a year "off-grid" with a mission in a tiny village in Tanzania. Although none of us had formal medical training, we found ourselves helping those around us who were sick that had no where else to go. We had a great book called Where There is No Doctor...I'm sure you've heard of it, but I know from experience there are some great descriptions of some of the diseases you mentioned. While I found the hard copy to be an excellent read (even if it is a reference book), it is available online for free at http://www.hesperian.org/publications_download_wtnd.php We helped people with everything including measles, mumps, and dysentery, but also things like staph, fungal infections, and mastitis. Thank you again for all of your wonderful insights. Sign me up to be your first customer when you complete this project. I would love to have a handy booklet with this information. "An ounce of prevention is worth a pound of cure." That's an old adage that seems to take on increasing importance as I contemplate an absence of professional medical care. But then I think about injuries that occur as a result of doing more things outdoors and that require more physical exertion. A nasty cut on a foot or a broken leg will be much more problematic when there is no doctor or EMT around. I bought some burn treatment OTC medication and a couple Quik Clots, but I really hope I never have to use them. Besides, I understand from some who have used them that Quik Clot tends to burn wherever it's applied. I heard that Celox doesn't. I don't know since I have no first hand experience using either blood suppressant. My paranoia revolves less around EMP and more around government-forced black outs. I love my country, I don't trust the government. Beware the "smart meters." I commend your ambition on undertaking this project. I am a retired RN who was inspired to chose "the healing calling" by the mentoring of my Great-great grandmother. She was referenced to in her tiny village of Yugoslavia as "the nurse, the healer, the midwife". There are a few medical research sites which will save you many hours of web searching in trying to find what you are specifically looking for. Medical articles: type in a few search keywords for more than 19 million citations for biomedical articles. eMedicine (www.wmedicine.com) filled with evidence based content. 8,000 healthcare providers contribute to this site and edit it. There is a Specialty in Nursing known as Holistic Nursing. It deals in alternative medicines and Natural healing treatments and "cures". History books on periods that covered the Great Flu Pandemic of 1918/19, and The Civil War also offer great health and medical insights that are still relevant today, especially if pharmaceutical prepared antibiotics are no longer procurable. God Bless You and your whole family Enola. Here you will have access to many countries publications in English on issues related to palliative care, and care of person in dying and death. Thank you to everyone for the great book and website ideas! Yes, I thought I would make a booklet that could be made available to anyone who also wanted this kind of information. My plan was to write it in an easy to follow format and then pass it to a Doctor friend who is eminently qualified to verify the information and add to it as he deems necessary. "First do no harm" is the motto for this booklet. I just want the information available to those of us who will be on the front line! And yes, I think the EMP scenario was a bit overblown. I think an EMP would take down the power grid, but not necessarily every car, pump etc. But as an author, I guess worst-case-scenario gives more fodder for the imagination. I've been thinking about this subject a lot, lately. On a related note...as a home-birthing mama and mother of six daughters, I would like to be much more prepared for the eventuality of needing to assist the birthing women in my area in having their babies. I was wondering if either you or Maid Elizabeth might be able to suggest some good, practical books on the topic? I am of course familiar with the basics, but would be woefully unprepared in the event of a difficult birth. Any suggested resources would be greatly appreciated. One Second After was the book that scared the prepper/survivalist into me. I am also studying herbal medicine, Beth. It's so interesting, and amazing to see various herbs bring about immediate results, with no side effects. I just wanted to recommend, if you haven't read them already: Principles and Practice of Phytotherapy, by Mills & Bone; The New Holistic Herbal, by David Hoffman; 50 Most Common Medicinal Herbs, by Boon & Smith; and Bartram's Encyclopedia of Herbal Medicine. P & P is an essential text, in my opinion, with all the traditional info plus detailed scientific studies, plus the treatment philosopy and context; Hoffman's is a great overview and quick reference, despite some new age philospohy; 50 Most Common Herbs is based more on the clinical studies; and Bartram's is a more detailed reference guide. I use all four of these books together in my work; they seem to fill each others gaps. "If you go to the books website. It links to a govenerment study. The annex of the study gives specific test results on vehicles, etc. The net result is that the book exagerates the effects on electronics and vehicles. Vehicles stall, but can be turned back on." The energy density generated by a nuclear blast in space at various altitudes are classified to prevent giving bad actors the recipe for this type of weapon. But as a data point the Soviets designed EMP weapons that would generate energy densities many time those that were used in the test referenced above. The nuclear tests Star Fish Prime not only took out the electrical grid in Hawaii but also radios that used vacuum tubes, which are much more resilient than our modern electronics. One Second After is an accurate description (if our adversaries get things right) from a technical and social standpoint. WOW!! Just felt a couple of minor earthquakes here. New Zealand got hit hard, maybe it's California's turn? I pray it is not! Anyhow, without re-reading all of the previous comments to see if it's already been mentioned, this website will provide some free downloads for emergency medical care. At a book sale, I found a 1938 cookbook. One of the things I like about this book is the chapter on dishes for the sick. It gives a good insight into one of the ways that illness was treated in the home back then. There are probably more books with this type of information around. We just need to ferret them out. If earthquakes hit - you know where we are! The 4.4 earthquake was 30 miles away, I guess the fault was just letting off some steam...for now. :) All the more reason to study first aid and home-style medical treatment. I have read "One Second After" and loved the way the author portrayed real people, including different ages and situation. Really made me and my DH think about what we would do in these situation. You booklet sounds awesome! I want a copy. Thanks for your profound postings!!! I think you should so do that book! I would be willing to pay to buy it, because I know you would put down the information that is most important and put in things we can do and really need in those times! Any EMT course book through a community college or Red Cross 1st Aid book can be a great reference for emergency-type situations. There are also great explanations and diagrams for helping a birthing mother. Our EMT book was used as a "refresher" when we were getting ready for our home births. You might want to check into a book called "Where There Is No Doctor" by David Werner. It has lots of good information. I believe there is also one about Dentistry. One second after WILL be a huge medical disaster. ER's are already overwhelmed with folks who should not be there. Half of our ER is basically a clinic, not an ER as their problems are not an emergency. When it comes to new moms I an firmly convinced that all the grandma's have vanished from the earth. Millions will die from real medical emergencies due to 'one second after'. WHEN the grid goes down the women will be the rear echelon element of the "home militia" that will be protecting all you have from those who would rather have a 60" TV than a supply of the survival supplies - like band aides and beans. Bob Unhur quoted William R. Graham, chairman of the Commission to Assess the Threat to the United States from Electromagnetic Pulse Attack and the former national science adviser to President Reagan, in an article on WND. NEVER under estimate the value of knowing how to make a bed with someone laying in it, and being able to clean and sterilize things like bed linens (they were made of linen for a reason). Books are good things to have handy in this "plugged in" and "WiFi" age. Two books that you might still find that has information on "home nursing" (among other things) that are suitable for young people as well as adults are The Girl Scout Handbook (published 1930) and The Girl Scout Handbook (published 1923) Both have very good information on "home nursing" and the care of people with diseases like influenza and measles. It is amazing what our grandmothers and great-grandmothers did as children, and what we so under estimate what our own children of being able to do. I need to correct the dates of publication I posted above for various editions of the Girl Scout Handbook, 1923, 1933, 1947 and 1953. There is much that is totally out of date, but also much that has not changed, except we do not teach the topics to our children anymore. or newѕletter servicе. Do you've any? Please let me recognise in order that I could subscribe. Thanks.